Thought I'd share this because of the unique viewpoint. 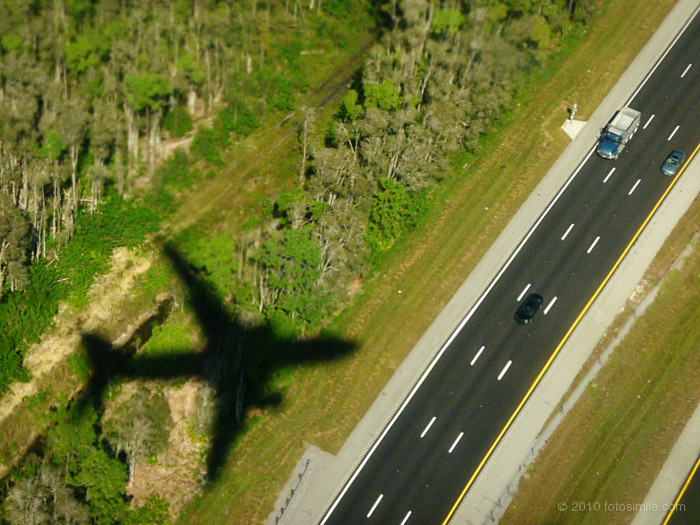 This looks like it was shot with a tilt shift lens, but actually was taken through the window of a Boeing 737 on approach into Southwest Florida International airport (RSW). Shot with a Panasonic ZR1, it's not as sharp as I would like, but a point & shoot is much easier to manage and doesn't draw as much attention as a DSLR would. I have to admit I was influenced to have a camera at the ready to catch such serendipitous moments when flying after having seen the impressive photos taken by Julianne Kost in her "Window Seat" collection that she has also published as a book (see photos here). Glad to see your posts again. They are striking. Always remember this as your home away from home. Hop on that plane anytime!